August 30th, 2018 – In a major blow to the TransMountain pipeline project, a Federal Court of Appeal decision has quashed the Canadian governments approval of the tar sands pipeline. The decision overturned the federal government’s approval of the project based on two key areas. One area was the failure of the National Energy Board to consider the TransMountain pipeline’s impact on the marine environment. This includes the impact from increased oil-tanker traffic through the Salish Sea and on the endangered population of killer whales. Last month, the whole world watched as a Orca mother carried the corpse of her baby whom had died just 30-minutes after being born. “In 1995, there were 98 Orcas in the pod, today there are 75. In 2005, Orcas in the Salish Sea were listed as critically endangered. In 1999, Chinook salmon, the Orcas primary source of food, was placed on the endangered species act. If approved, the pipeline would have transport an estimated 890,000 barrels of tar sands crude from Alberta to Burnaby, BC where it would be stored for export to Asian markets. An estimated 700 supertanker trips per year would carry the crude to foreign markets. The second issue, according to the court, was Canada’s failure to consult process with First Nations. As a result, Canada must re-do its Phase III consultation. Only after that consultation is completed and any accommodation made can the project again be put before the Governor in Council for approval. The pipeline project has seen strong opposition from Indigenous communities on both sides of the border. On unceded Secwepemc Territory, tiny houses have been constructed and placed in the path of the proposed pipeline. Members of the Tsleil-Waututh First Nation constructed a traditional Watch-House near the gates of Kinder Morgan in Burnaby, BC to serve as a launching pad for direct-actions. To date, over 200 people have been arrested in actions against the pipeline with actions taking place throughout Coast Salish territory from Seattle to Vancouver. 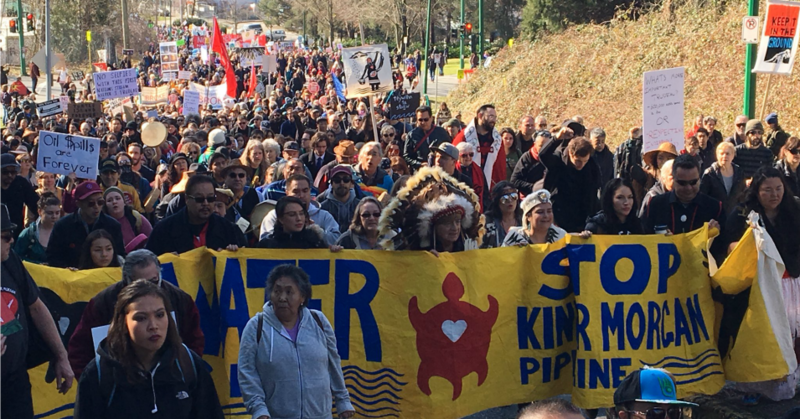 *Cover picture, members of the Tsleil-Waututh First Nation march with Indigenous activists and supporters in Seattle, WA to block Kinder Morgan’s terminals. 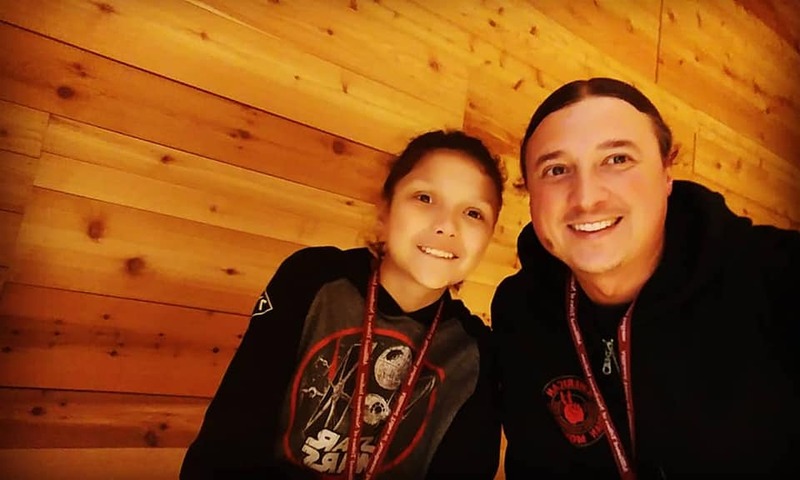 This entry was posted in education, Events, Tribal Leadership and tagged Last Real Indians, LRInspire, matt remle, Tar Sands, Trans Mountain pipeline, Trudeau by lrinspire. Bookmark the permalink. This is very good news. Have you noticed how they always seem to get their way, in the end? Here’s hoping they don’t this time. I am ecstatic to see this court decision! I can’t say much more except that you need to look for the law firms that are representing these companies (TransCanada and Energy Transfer Partners). If you can bring action against them, it could stop the pipeline even further.